This post started out in usual CadaverBlender fashion as an attempt to rank our favorite Halloween costumes from our youth.Â But after Jesus’ Mom was able to round up photographic evidence of eleven costumes from his youth, he decided it would be more enjoyable to post all the pictures and embarass a few people.Â With a Mom who can make any costume you imagine, you take full advantage of it.Â Keith lists his favorites but you’ll need an imagination because the photo evidence is lacking.Â So now, the costumes of Halloween past. 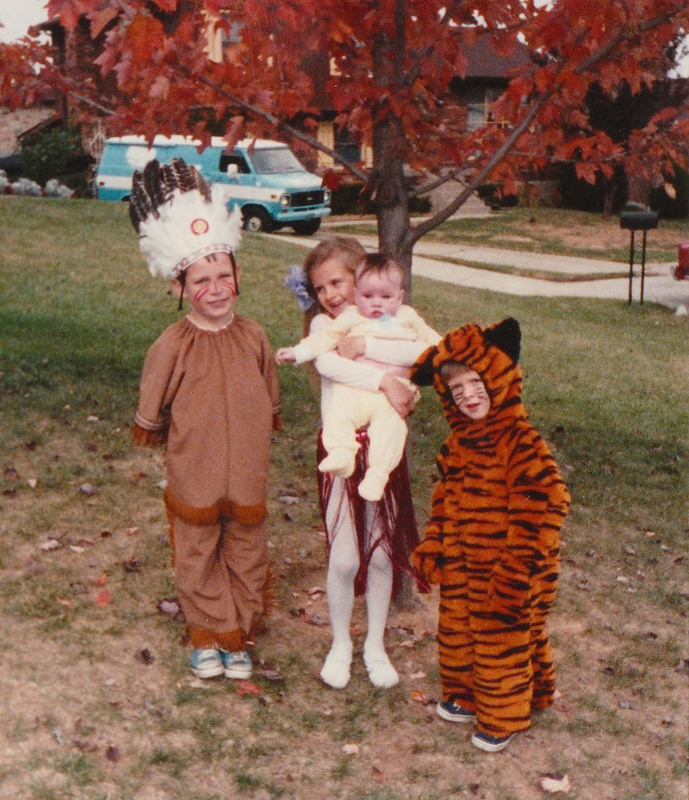 1988 Tiger- Ah, the fiercest of the world’s cats.Â And then we have an early audition for Chief Illiniwek.Â It was the 1980s, that type of stuff was acceptable. 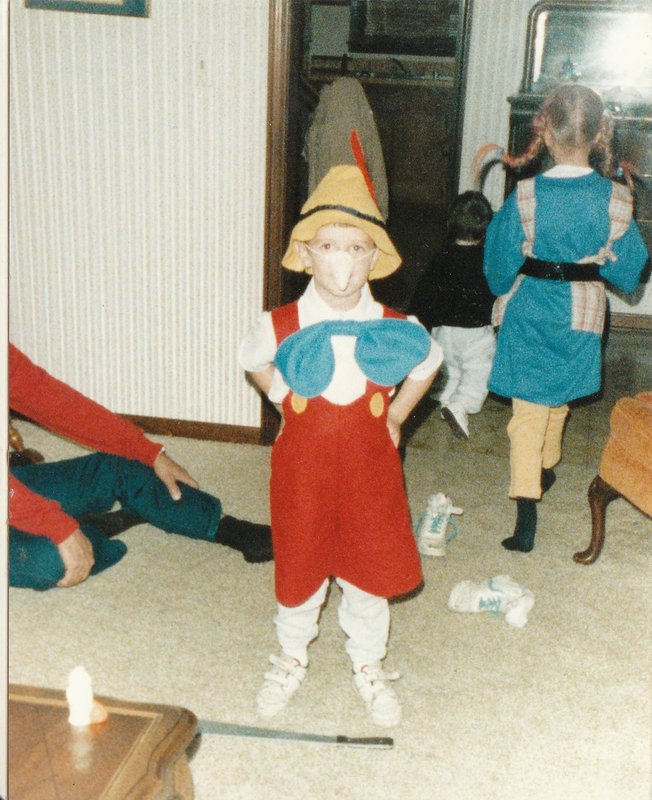 1989 Pinocchio- Geppetto would be proud.Â Honestly I never lied that much.Â Notice the hat, as it will appear again later down the line.Â That’s my sister in the background as…Pippi Longstocking? 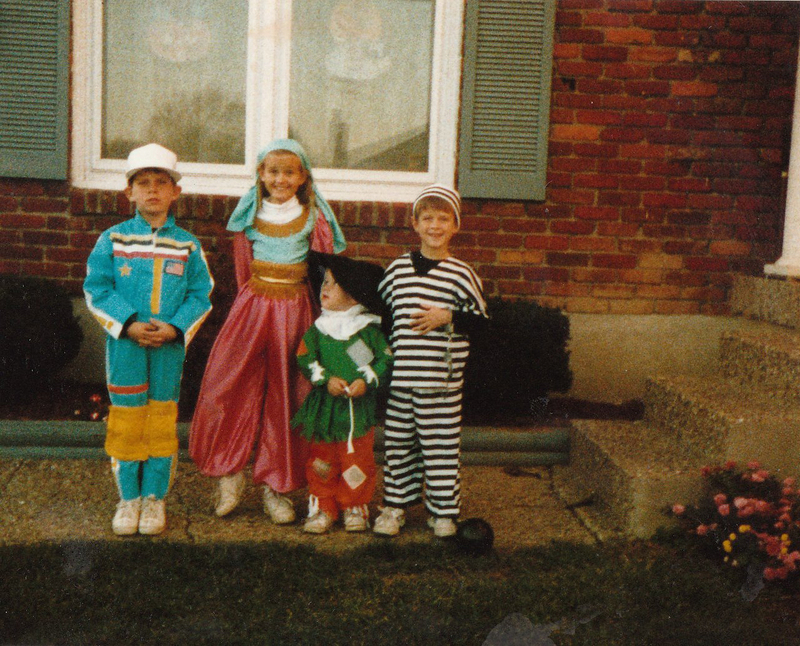 1990 Jailbird- Every mother’s dreams, a 5 year old convict.Â Who knew my affinity to MTV’s Juvies started at such a young age.Â And there’s my brother doing his best NASCAR driver (? ), my sister a few years ahead of Jasmine from Disney’s Aladdin, so clearly she must be a gypsy instead, and then a scarecrow definitely looking for some gypsy tears. 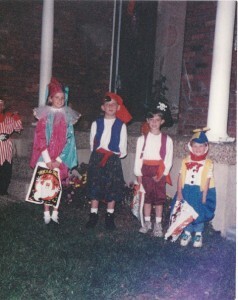 1991 Pirate- The classic Halloween costume accompianied by a Jester (?) and Humpty Dumpty.Â The Humpty Dumpty costume was originall used by Jesus in kindergarten for his class’ play of nursery ryhmes. 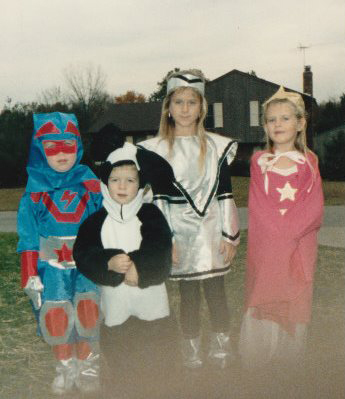 1992 Gomez- This may have been the finest effort put forth on Halloween.Â It was a group effort as we pulled off the Addams Family.Â The best costume was my brother as Cousin It. 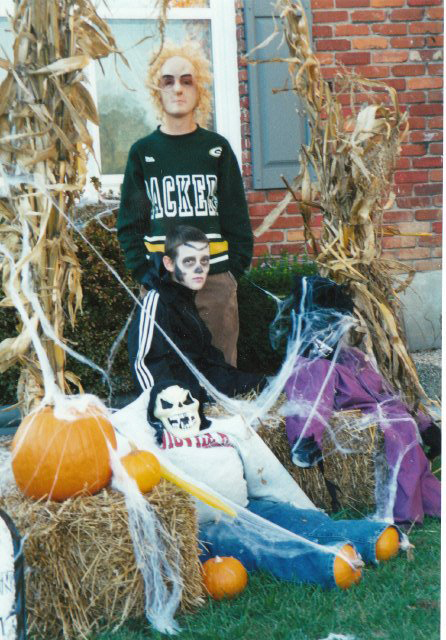 1993 Frankenstein- This costume is a lot more enjoyable than the book.Â Granted I only read like the first 6 pages of Frankenstein but it was 6 too many. 1994- One of the lost years. 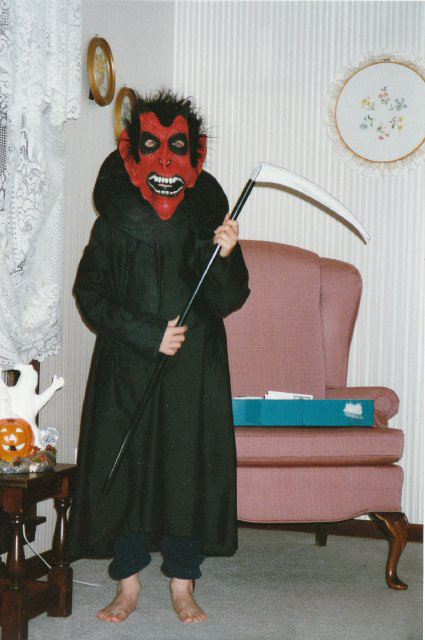 1995 Grim Reaper- My take on the traditional Grim Reaper.Â I’m pretty sure I didn’t go trick or treating barefoot, but you just never know.Â It may have been a “warm” Halloween that year. 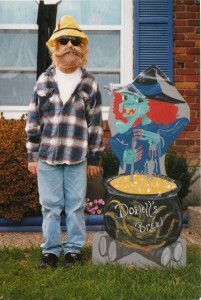 1996 Unabomber- This is truly a great costume.Â We’ve seen the hat before.Â The beard and mustache are from 3rd grade when I dressed as Ulysses S. Grant for the President’s project.Â I mean the re-use makes it a perfect costume. 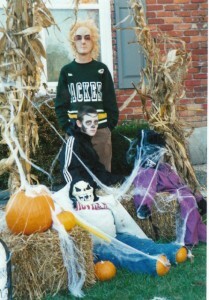 1998- I think by this point I had just gotten lazy.Â Just your standard Packers fan. 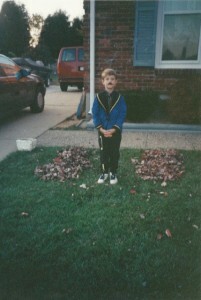 Ever since I’ve been taller than my mom, Halloween has become a little less cool. You might ask why, for some reason when I got to 5 feet I no longer got the awesome costumes I got as a kid. Well its that or maybe my mom raised the bar too high, either way this post will end up being a dedication that I could print out and send for mother’s day. I don’t have photos … yet but it doesn’t mean I won’t eventually. Lets go over my favorites – First it was Dopey. He’s the youngest dwarf, has no beard (nor do I), he’s clumsy and occasionally funny – so he’s very Keith. I’m not sure how I latched onto this costume but wow it was great. I had a full robe and a mask full with pointy hat. 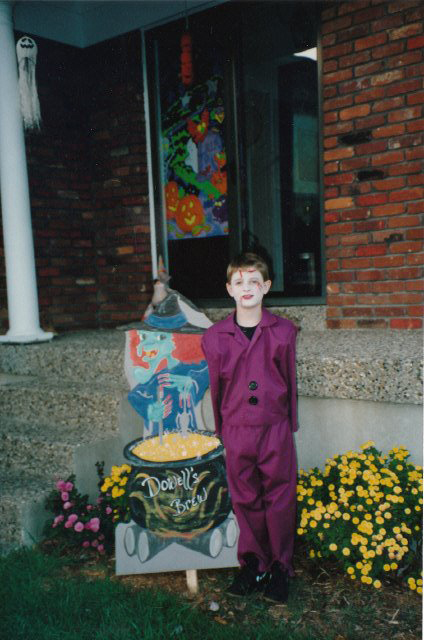 My mom seriously dominated this one, if the mask still lined up I’d probably bring it out every 2 years. Who wouldn’t want to make out with Dopey. Another one of the bests, Krang and his Android Body. If you don’t know what I’m talking about, it might be time to quit reading this site. He was obviously a supervillain in TMNT, not just a regular villian, but a supervillain. He made a strong alliance with Shredder. He controlled his android body from just above the junk, and wow he was a pretty smart guy. 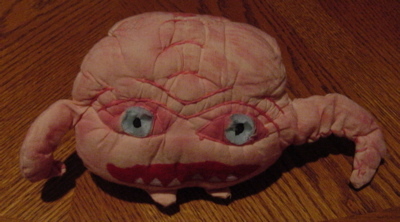 I always thought about bringing my Krang to college, but I was / am seriously worried about getting it stolen. Finally Â … one year I got creative. I went as a car crash. It was pretty simple, I had on some torn up clothes, a bumper, I think maybe a headlight and some blood. It sounds really dumb but it was pretty creative. Sure it doesn’t sound that great but it was. 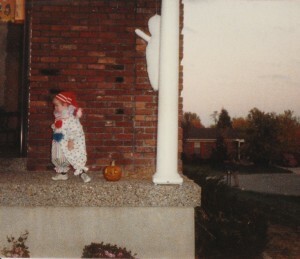 There were many many other great costumes and I loved them all, even today my ma is a good creative consultant. Hilarious. Greg, I loved your captions. Even though I had looked at those just the other day before sending them your way, I laughed at every one of them. And to think I just made 4 more coustumes for college students. (the Booze Brothers) I guess some things really don’t ever change. Great pictures. I love the costumes.